Republicans had never held the Presidency. Democrats had held it for eight years. There was considerable pressure not only regarding the Cabinet but virtually the entire slate of federal employee positions. Since no one had civil service protections, Republicans hungered after virtually every available office. The stakes were large. After the election in November efforts were made to induce Mr. Lincoln to visit Auburn and consult with Mr. Seward in regard to the policy of his administration, and the selection of the members of his cabinet, But no argument or urging could persuade him to such a step. He had too much self-respect and self-reliance to listen for a moment to those who approached him on the subject. While modest and unassuming, ready to listen and anxious to inform himself, he knew too much of the proprieties of his position, and what was due to it to put himself in training or in the keeping of any man or men. These seductive and officious invitations and tenders from the Albany politicians did not give additional strength to, nor promote their schemes and the particular views of the school that offered them. They were fully understood and rightfully appreciated and disposed of. Finding that Mr. Lincoln would not visit Auburn to receive lessons, it was concluded that Thurlow Weed should again visit Springfield as the representative of Mr. Seward. 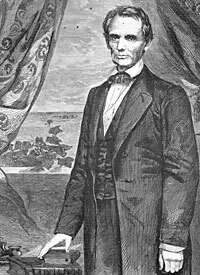 Messrs Davis and Swett, with whom Weed had previously conferred, suggested, perhaps invited him, or someone possessed of the views and wishes of the Auburn statesman and politicians, to visit Mr. Lincoln. 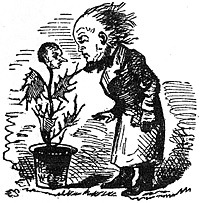 On this hint Mr. Weed, the confidant and oracle and organ of the sage of Auburn, went to Springfield the latter part of December, had one or two interviews with the President-elect, and succeeded in ascertaining the names of the gentlemen whom he proposed to invite to his cabinet. Mr. Weed, in his autobiography, has narrated with some ‘mental obliquities’ as he has since confessed, his account of those interviews. The plans and purposes of Mr. Lincoln were by no means satisfactory to the representative of the Albany policy. Rufus F. Andrews, appointed Surveyor of the Port. He was removed September 5, 1864. Hiram Barney, appointed Collector of the Port in 1861. He was removed September 5, 1864. Richard M. Blatchford, appointed minister to the Vatican in 1862. George Dennison, appointed Naval Officer in 1861. Andrew B. Dickinson, appointed U.S. Marshal in 1861 and later Minister instead. Simeon Draper, appointed Collector of Port of New York, September 1864. John Hogeboom, appointed Customs appraiser at large in February 1864. James Kelly, appointed Postmaster in September 1864. Thomas McElrath, appointed general appraiser in 1861 and served until 1864. E. Delafield Smith, appointed District Attorney for Southern District in 1861. William B. Taylor, appointed Postmaster in 1861. He was replaced in 1862. Abram Wakeman, appointed New York Postmaster in March 1862. He was appointed Surveyor of Port of New York, September 1864. Sidney David Brummer, Political History of New York State During the Period of the Civil War, p. 128. Glyndon Van Deusen, William Henry Seward, p. 241.